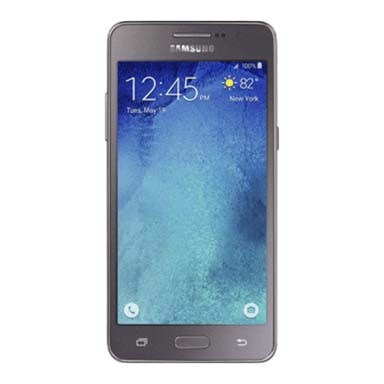 Samsung Galaxy Grand Prime 4G was launched in the first quarter of 2015. For 2015, the phone had some pretty advanced features which were by no means a gimmick. All the features were useful. On the front side of the phone, there is a 5-inch screen. Back then, the forehead and chin of the devices used to be big. The chin of Samsung Galaxy Grand Prime 4G had the physical home key in the center surrounded by capacitive buttons for back and multitasking options. The phone is made of plastic. The back of the phone features an 8MP camera whereas the front facing camera is only 5MP. The camera modules are capable of clicking decent photographs. Powering the device is a 1.2GHz quad-core processor paired with 1 GB RAM. This might not sound much but for 2015, these specs were pretty substantial. The phone has good connectivity options like GPS, Wi-Fi, USB OTG, FM, NFC, 3G, and 4G as well. The device is very durable and even heavy multitasking on this device felt very smooth and seamless. However, in 2019, this phone doesn’t fit as the specs are outdated and you could get a much better phone in the same price range. So if you have this phone, you must sell it to enjoy the benefits of newer devices. Cashify is the best place to sell old mobile phones. Why Sell Your Old Samsung Galaxy Grand Prime 4G On Cashify? Cashify assesses the price of your phone by asking you some simple questions. Your answers are combined with the market price of the device that you want to sell and then Cashify gives you the best price for your used mobile. If you agree to sell the phone on the quoted price, Cashify agent will collect the phone from your house and hand over the money to you via cash, bank transfer, or e-wallet payment.